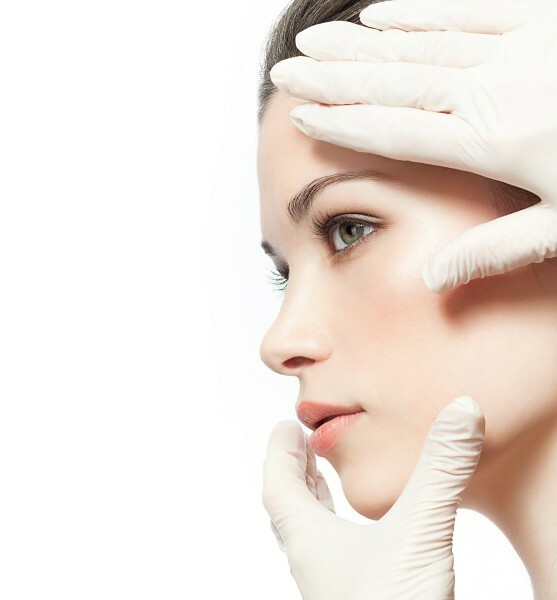 Deciding to have a cosmetic procedure done is a big decision and you want to make sure that you get the best results possible. Having certain procedures performed at certain times of the year will help you achieve this. Dr. Joel Schlessinger is here to explain when you should schedule your treatments throughout the year. Treatments on the body may take longer to see results, explains Dr. Joel Schlessinger. Some procedures require multiple treatments over a period of several weeks. To get your body ready for the beach, you’ll want to have your cosmetic procedures performed in early spring. Laser hair removal generally requires a series of five to seven treatments over a period of eight to twelve weeks to catch the entire growth cycle of hair. It is also important to schedule your appointments in the winter or early spring because laser hair removal cannot be done when skin is tan. The laser targets and destroys the dark hair follicle which is easier to pinpoint when skin is lighter so if your skin is too tan, the procedure cannot be performed. Procedures that help reduce fat around the stomach, abdomen and thighs require multiple treatments. CoolSculpting, a non-invasive procedure, targets and eliminates fat cells by freezing them. The fat cells are gradually eliminated over a period of several weeks following your treatments. UltraShape is another non-invasive fat reduction procedure that delivers bursts of energy to target fat cells that dissipate over a period of a few weeks. With both of these treatments, it can take a couple of months to see the full results so Dr. Joel Schlessinger suggests having the treatment performed in the spring before you have to hit the beach. Anyone who is looking to reduce the appearance of fat around the neck and chin can treat the area with Kybella. During a series of two to six sessions, the treatment is injected into skin and eliminates fat cells without harming the surrounding tissue. After the treatment, the area can swell for up to three days to a week so you want to avoid having the procedure performed right before a big event. . Generally, patients see results in six to eight weeks so now is the best time to schedule the procedure so you are ready in time for the holiday season. Fillers and BOTOX®, explains Dr. Joel Schlessinger, can be performed any time of year. Treatments that reduce the appearance of wrinkles around the eyes, nose, mouth and forehead can be performed any time of year. Occasionally, fillers can cause bruising so you do not want to have them done immediately before a big event. Dr. Joel Schlessinger recommends having the treatment performed at least two to three weeks before the event. Hyaluronic acid fillers such as Restylane and JUVEDERM generally only require one treatment and the results can last up to six months. JUVEDERM VOLUMA™ XC is an FDA-approved hyaluronic acid filler that adds volume to the cheek area. The injectable gel gently lifts skin to create a fuller and more youthful contour. This treatment lasts up to 18-24 months so it is the best option for anyone who is not able to schedule an appointment every six months. BOTOX® works by preventing repetitive muscle contractions that cause deep furrows on areas such as the forehead and between the brows. Dysport™ is similar to BOTOX® and is a newly approved FDA wrinkle relaxer that reduces the appearance of frown lines and wrinkles. With both of these treatments, you will see a relaxing of lines anywhere from three to four days after the treatment. Do you have a question about these treatments for Dr. Joel Schlessinger? Ask him in the comments section! Joel Schlessinger MD discusses Botox for hairstyles. Dr. Joel Schlessinger explains Botox. Botulinum toxin type A, or Botox, is a neurotoxic protein used for a variety of medical and cosmetic procedures. It is typically injected in small amounts over a set period of time. Botox is most commonly used to correct wrinkles by limiting the ability of nerves to make muscles contract, essentially relaxing muscles to keep skin looking firm and youthful. Botox injections are also capable of decreasing nerve stimulation of sweat glands. This process is often used for underarms, hands and feet to reduce the activity of sweat glands in those areas. Now, the process is also being used to combat scalp sweat. 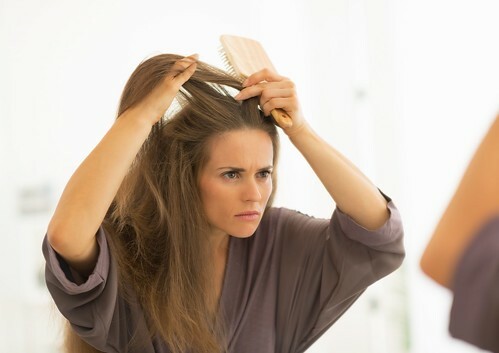 Botox injections to the scalp decrease the amount of sweat produced by sweat glands in the scalp. This keeps hair cleaner and helps maintain style and volume long after you’ve left the salon. Botox injections in the scalp are similar to injections in the face but affect a greater surface area. Typically, a dermatologist will inject around 20 units of Botox to the face. For the scalp, about 100 units of Botox are injected to cover the entire surface area. Botox for the scalp has potential, says Dr. Joel Schlessinger. Ask a dermatologist, like Dr. Joel Schlessinger, about Botox injections to the scalp. As with any medical procedure, Botox injections to the scalp come with certain risks. Typical side effects of injection, such as swelling, pain and bruising, are possible. If you are interested in exploring Botox injections for your scalp, it is important that you choose a board-certified dermatologist and cosmetic surgeon who has the skills and expertise to provide the best treatment for your needs. AQUAGOLD Fine Touch is a new microneedling device that boosts collagen production while treating common signs of aging. It takes the classic microneedling process a step further by simultaneously addressing concerns like dryness and fine lines with a targeted treatment. AQUAGOLD Fine Touch complements any in-office treatment, Dr. Joel Schlessinger explains. This unique device is the perfect finishing touch for your in-office treatments. AQUAGOLD Fine Touch is a glass vial topped with 20 hair-thin needles. As these needles make contact with the dermis, they deliver whatever liquid is in the vial to the complexion, such as hyaluronic acid or a topical serum. This microneedling treatment is gentler on skin than roller techniques, says Dr. Joel Schlessinger. Because the needles pass over skin, AQUAGOLD Fine Touch is relatively painless. Unlike classic roller techniques that can cause microtears in the skin, this device won’t cause bleeding because it applies the microneedles perpendicular to the skin. The treatment requires no downtime so you can immediately continue with your daily routine. AQUAGOLD Fine Touch is also innovative in that the device is an individual unit that isn’t reused from person to person. This makes the treatment sterile for each patient, unlike rollers and other techniques that require reusable units and materials. This cleanliness is ultimately why Dr. Joel Schlessinger chose to add AQUAGOLD Fine Touch to his practice. Do you have questions about AQUAGOLD Fine Touch? Share with us in the comments. Perlane is an injectable filler made from FDA-approved hyaluronic acid. It is injected beneath the skin’s surface to treat wrinkles and folds and to add youthful volume. In his latest SlideShare presentation, Dr. Joel Schlessinger discusses Perlane and similar fillers like Restylane, Belotero, JUVEDERM XC and JUVEDERM VOLUMA. Dr. Joel Schlessinger explains hyaluronic acid and its importance for skin health. Hyaluronic acid is a substance that naturally occurs in the body. It is found in the joints, eyes and other areas, but the skin cells account for fifty percent of the body’s supply. In the skin, it allows the complexion’s collagen to remain hydrated and nourished. With a sufficient supply of hyaluronic acid, skin stays firm and moisturized. As we age, we gradually lose the amount of hyaluronic acid our skin needs to maintain its structure and elasticity. Our complexion grows dry and deflated, and fine lines and wrinkles become more visible. By introducing a hyaluronic acid filler like Perlane under the skin, you can replenish some of the hyaluronic acid you need to regain elasticity and fill in folds and creases. Results will vary depending on the individual, says Dr. Joel Schlessinger. Perlane and other fillers can be used to treat most areas of the face. Perlane in particular nicely fills in lines on the upper and lower lip. It performs well on even deep creases and it can be used in place of collagen implants to volumize the lips. Dr. Joel Schlessinger and his staff at Skin Specialists of Omaha will help you decide on a course of treatment based on your personal goals. The course of treatment may involve just one filler injection, a series of injections or combining fillers with other procedures such as Botox. It’s important to remember that filler results will not appear overnight. Call Dr. Joel Schlessinger at Skin Specialist’s of Omaha about your Perlane procedure. Always choose a physician who puts your personal needs and safety first. Dr. Schlessinger is an expert when it comes to fillers such as Perlane, and he performs all of his own injections. His proven track record for success and patient satisfaction rate have consistently earned him Best Cosmetic Surgeon in Omaha, Nebraska. Do you have a question for Dr. Schlessinger about Perlane and other fillers? Let us know in the comment section. A new study out of Georgetown Medical School suggests that it might be possible to treat depression by relaxing a patient’s facial muscles with Botox. This injectable contracts the muscles, preventing patients from frowning. The research, which will be published in the Journal of Psychiatric Research, followed 74 patients with major depression who were assigned either Botox or a saline placebo. Six weeks later, 52 percent of the subjects who were given Botox showed relief from depression, compared with only 15 percent of those who were given the placebo. Similar studies have found Botox to have the same effects, Dr. Joel Schlessinger explains. The results of this study are not entirely unprecedented. A study at Cardiff University found that non-depressed patients at a cosmetic dermatology clinic who received a Botox injection above the eyes frowned less and felt better than those who did not receive Botox. A similar study at the University of Basel found that Botox had a more positive effect than a placebo when given to depressed patients. Further research on the effects of Botox will be able to shed more light on this issue. Other treatments for depression use similar facial feedback, Dr. Joel Schlessinger shares. It’s still unclear whether Botox is an effective anti-depressant, but there are a few treatments for depression that use facial feedback in a similar way. Light therapy stimulates the retina, exciting the optic nerve and sending signals directly to the brain. This technique is used to treat seasonal depression. Another method includes direct electrical stimulation of the brain’s vagal nerve, which is thought to have anti-depressant effects. Wrinkles and creases naturally form as we age. In his recent presentation, Joel Schlessinger MD answers frequently asked questions about Juvederm, a wrinkle filler similar to Restylane or Perlane. Juvederm is commonly used to fill in fine lines around the lips, as well as deeper wrinkles and folds in the cheeks. Dr. Joel Schlessinger performs many of these simple cosmetic procedures daily in his clinic. To sign up for a consultation about Juvederm or any other cosmetic procedure, click here. For more information about Juvederm procedures performed at Skin Specialists P.C., visit our website. As we age, our skin loses its elasticity and becomes thinner. Eventually creases and lines form in the skin. Similarly, when our skin is damaged by the sun, free radicals or other harmful environmental factors, furrows and folds begin to develop in the weakened skin. These creases, folds and furrows are also known as wrinkles. To many, wrinkles can be seen as unsightly. While there are many cosmetic and plastic surgery options to fix these wrinkles, many people may want a less evasive way to treat and prevent future wrinkles. Joel Schlessinger MD tells us what topical products can be used to treat wrinkles. What causes wrinkles? Dr. Joel Schlessinger explains. “Wrinkles can take the form of a crease or can simply be evidenced by accelerated sun damage,” said Dr. Joel Schlessinger. Joel Schlessinger MD says it is important to note that what works is often dependent upon the patient. It’s very important to note factors that have caused wrinkles in people before selecting a proper topical treatment. However, generally speaking, there are several products that have been known to make a difference in wrinkles. Joel Schlessinger MD shares his recommended topical wrinkle treatments. “When I see a person with wrinkles in the office, I always encourage them to try Retin A or some form of it,” said the doctor. Retin A is a prescription cream that improves the appearance of fine lines, wrinkles and other common skin ailments like acne and dark spots. It promotes the turnover of healthy skin and the growth of collagen, leaving your complexion looking younger and smoother. Make an appointment with Dr. Joel Schlessinger to learn more about Retin A. The Obagi skin care line offers condition-specific skin treatments that work aggressively yet gently. With regular use of the regimen, you’ll see a dramatic improvement in skin texture and tone. For the best wrinkle treatment for your skin, Joel Schlessinger MD recommends visiting your local dermatologist for a catered skin care regimen. What topical products do you use to treat your wrinkles? Tell us in the comments or on Facebook or Twitter. Have you ever considered getting Botox injections? If you’re still on the fence about this anti wrinkle treatment, watch the following videos and learn more about this quick and easy procedure. There have been over 9,000 Botox injections performed since it hit the market in 2002. This proven treatment relaxes the facial muscles, resulting in minimized fine lines and wrinkles. In this first video, Dr. Joel Schlessinger discusses the preparation of Botox as well as the pre-treatment steps, which includes a consultation and photos. The consultation allows the patient to see their areas of concern as well as receive advice from the medical professionals on other areas that could benefit from an injection. After the consultation, Dr. Joel Schlessinger will perform the Botox injections. As you can see in the video, the actual procedure is very fast and relatively painless. In the second video, Joel Schlessinger MD explains what to expect after a Botox injection. Gradually, you will fewer wrinkles and fine lines as your frown muscles begin to relax. Dr. Joel Schlessinger then goes over the photos from this patient’s treatment. Do you think Botox is right for you? Set up a consultation with Dr. Joel Schlessinger and Skin Specialists PC today.